THE DECORATING ROOM on the second floor of Carlo’s Bake Shop, my family’s business in Hoboken, New Jersey, is like heaven on Earth to me. It’s where my comrades in arms and I work our magic, turning out wedding cakes, birthday cakes, and theme cakes for every occasion imaginable. Every day is a new adventure in that decorating room: On Monday, the big challenge might be a ten-tier wedding cake draped with rolled fondant and showered with delicate, lifelike sugar flowers; on Tuesday, it could be a birthday cake shaped like a soccer field, complete with figurines of the players; by Wednesday, we might be replicating a pop star’s new CD cover in icing and gum paste for a television show; and Thursday and Friday … well, we’ll cross those bridges when we get to them. I used to spend all my time in the decorating room, but now I have other responsibilities as well, because I’m not just a decorator; I’m the Boss. A portion of each day is spent in my office, down the hall from that grownup playpen. When I’m in my office, the hallway outside its door is always crowded. It’s a narrow passageway on the second floor, and half of its width is taken up with steel utility shelving. On a normal day, there’s a line outside made up of family and other employees waiting to come in and see me. Some of them need me to sign off on something, like the design and baking of a cake for fifty people for a special event by tomorrow, even though our production schedule is maxed out. Others have a question that only I can answer, like what we should charge a local rock band for a sheet cake with modeling-chocolate figurines of themselves on top, accurate right down to their facial hair and earrings. Billing issues, vendor screwups, Web site glitches … it all comes to my door. On a normal day, inside my office, there’s no telling what I might be up to. I might be having a consultation with a couple planning their wedding, describing the cake they dreamed up the night they got engaged, and wondering if I can bring it to life for them. The look in the eyes of a bride as she describes her dream cake is like nothing you’ve ever seen, a constant reminder that although I may be just a baker, my responsibility is awesome. Our customers entrust their dreams to us, and we have the power to make or break memories. That might not be the same as being a surgeon or a fireman, but you feel the weight of expectations every time somebody new walks through that door. If I’m not immersed in a consultation, I might be meeting with my assistants, going over phone calls and meetings, or with one of my four sisters—Grace, Madeline, Mary, and Lisa—talking through a problem that’s cropped up with the pastry counter they manage downstairs. My life isn’t just about baking, decorating, and consultations: We’re a family business, so, sometimes, there are family squabbles. It’s just as likely that a voice that comes crackling through the intercom will shout out, “Buddy, where do you want the new mixer installed?” as it is, “Buddy, Mary and Grace are fighting again.” I hear that, and it’s a code-blue situation because it means that two of my sisters are going at it. I drop whatever I’m doing and hustle downstairs, because breaking up those arguments is part of my job, too. Just like the counter is run by my sisters, the top dogs in the back are my brothers-in-law. Upstairs in the decorating room is Mauro Castano, my right-hand man, husband to my sister Madeline, and one of my best decorators. There’s also Little Frankie Amato, the son of my Uncle Frankie and my father’s godson, who’s been around the bakery since he started hanging around there as a kid, and has been working with us since he left Wall Street in 2006. There’s Danny Dragone, a mustachioed Italian who we call “the Mule,” a jack of all trades who helps out wherever he’s needed—the baking equivalent of a utility player. And, of course, there are the designers, our own little team of magical elves, like Stephanie “Sunshine” Fernandez, who was the first woman to ever work in the back with the bakers, in 2004, which was no small thing, because in addition to the long, grueling days, it can get a little bit like a frat house back there. She and the other designers can make anything at all out of fondant, modeling chocolate, and gum paste: people, animals, palm trees, cars, boats, footballs … you name it, they can sculpt it. Downstairs, in the bakery, there’s Joey Faugno, another brother-in-law, who’s married to my sister Grace, and is one of our top bakers and another utility player; in addition to being a champion mixer and oven guy, he’s a fine decorator. And there’s Sal Pininch, who’s been with the bakery since the 1960s, and is my most trusted baker because, beyond baking, he’s somebody who I can go to for fatherly advice. Whether we’re related by blood or marriage or not at all, these people are my family, and most of them have been at Carlo’s for years. 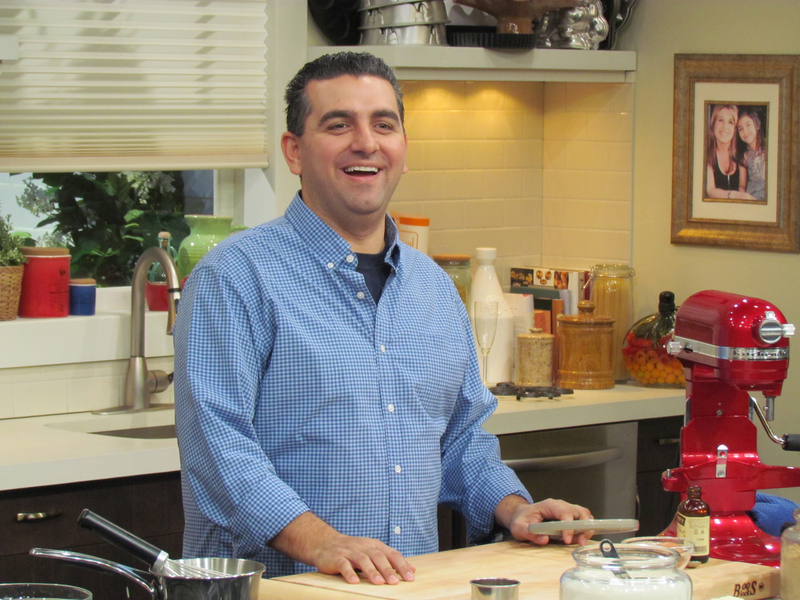 They are also my co-stars, because, starting in 2009, our family and our bakery became the subject of a television show, Cake Boss. The show depicts who we are and how we do what we do and how sometimes things get a little crazy at Carlo’s. The funny thing is that the show itself has made things crazier than ever: A team of producers and directors and camera people and sound technicians and production assistants have practically moved in with us. I spend the day doing everything I just described, but I do it wearing a microphone, like the informant in a crime movie. There’s a camera and light aimed down at my desk from the ceiling, and my every move and conversation in the bakery and decorating room is tracked. That hallway outside my office is twice as crowded as usual, with as many people wearing walkie talkies as wearing aprons. Since the show hit TLC, whenever I visit the retail floor, the customers burst into applause, and I stop and pose for pictures with them. I’m flattered by the attention, but it’s also a little funny to me, because all I do on television is what I’ve been doing since I was a teenager. That same attention has made the bakery busier than it’s ever been before. There’s a line out the door most days, filled with people who have come from all over the country just to pay us a visit and taste the pastries they’ve seen on television. It’s been quite a ride, and it just gets more exciting and more gratifying all the time. My only regret is that sometimes things move so quickly that we don’t have time to stop and take them in. 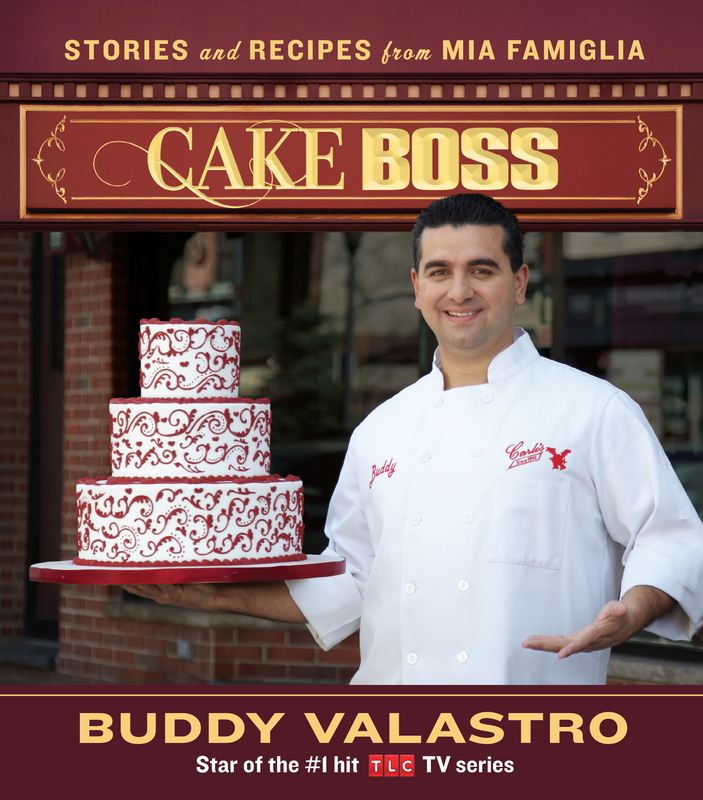 But, at the end of the day, before I change into my street clothes and pull my black, varsity-style Carlo’s Bake Shop jacket on, I sometimes stop and savor the silence. I look out the window of my office onto Washington Street, one of Hoboken’s main thoroughfares, and I remember. I remember all the things that brought my family and me to this moment.